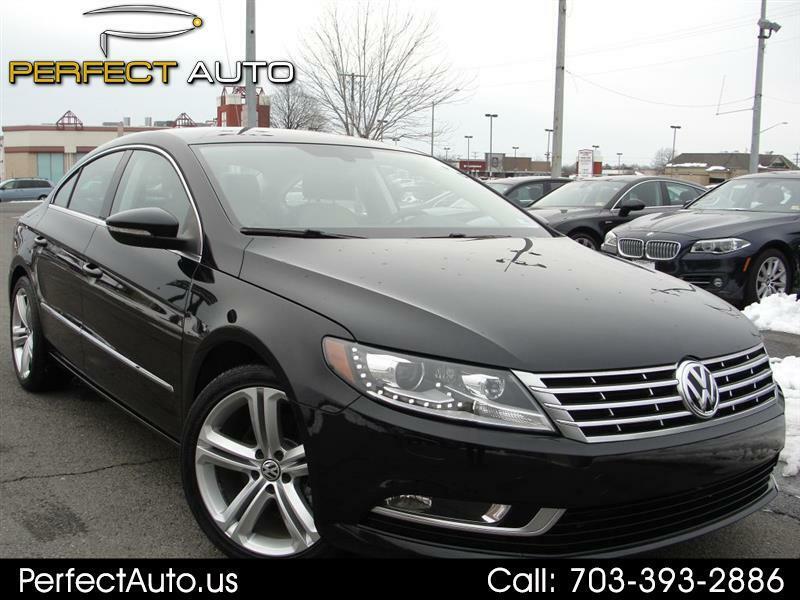 Amazing Sport Plus CC with Beautiful Beige & Black Two Tone Leather, One Owner Clean History, Navigation, 18'' Alloy Wheel Package, Adaptive Bi-Xenon Headlights w/ LED Daytime Running Lights, Heated Seats, VW Media Interface, SAT Radio, Bluetooth, AUX, Fog Lights, and more. Original MSRP:$33,910 At Perfect Auto we only sell the best cars, that is why we back our vehicles with a 90 Day Warranty. Visit Perfect Auto online at perfectauto.us to see more pictures of this vehicle or call us at 703-393-2886 today to schedule your test drive. Vehicles are listed with the utmost care; nonetheless, all listings are subject to human error. Please call or visit the dealership to confirm vehicle availability, condition, and options. Based on age, pre-owned cars are subject to normal cosmetic wear and tear including but not limited to scoffs, scratches, or chips. Price does not include $596 processing fee, tax, tags or any other DMV related fees. Message: Thought you might be interested in this 2013 Volkswagen CC.